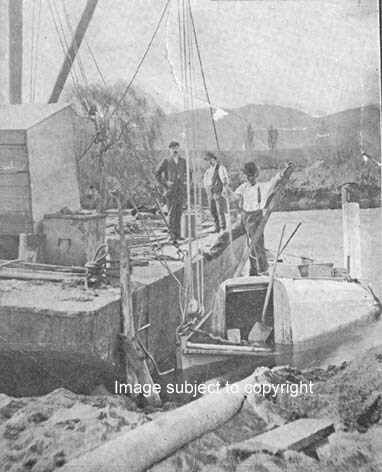 near Te Aroha: Operations for raising the vessel under progress. August 26, 1906. MAKUTU is visible in the photograph of NGUNGURU at Paeroa.